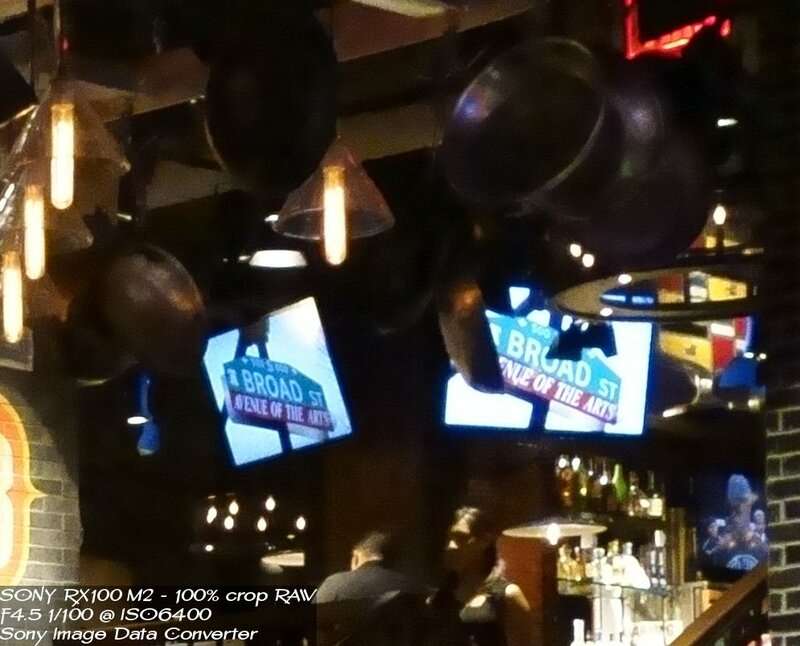 So how does this new backlit CMOS sensor in the RX100 M2 handle low-light situations? 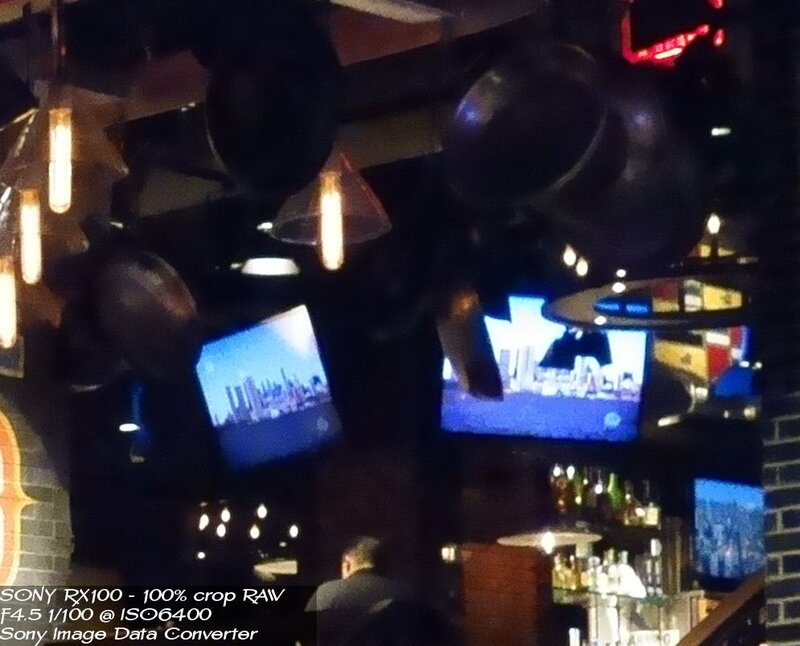 Take a look at a close-up of the above photo taken at ISO 6400 in Guy Fieri’s Guy’s American Kitchen & Bar in Times Square NYC. Lots of detail and fairly well behaved digital noise. The above photo was shot RAW. 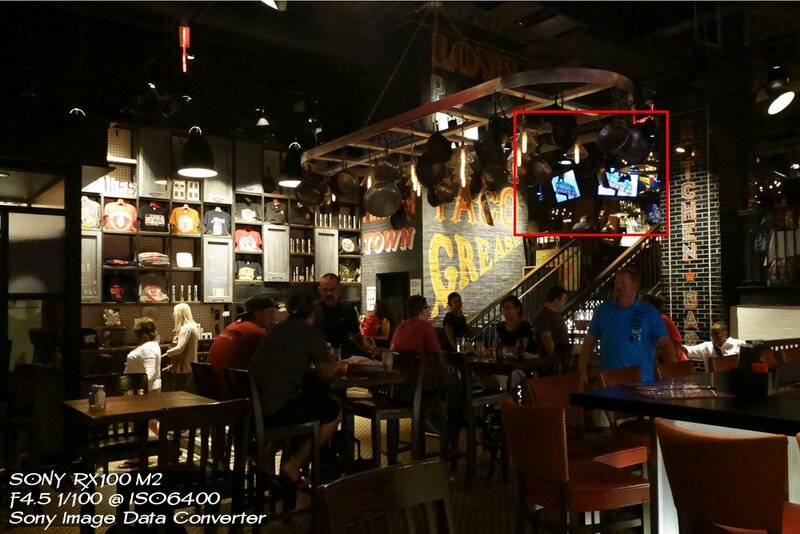 Lightroom 4 does not support the new RX100 M2’s RAW format even though it is supposed to be the same RAW format as the older RX100. Lightroom 5 just announced support for the new camera, but I still have not jumped into Adobe’s new Creative Cloud (or CC for Cash Cow). As a result, I processed the photo through Sony’s Image Data Converter.